Work with local communities is a vital part of Street-Wise work, both in terms of changing attitudes towards street children and in preventing children leaving home. This work takes many forms including training for local community leaders about parenting and the rights and needs of children, networking with local businesses and other stakeholders such as Police, Welfare services, local government and residents to ensure a collaborative approach. Soup Kitchen: We feed ± 200 school going children on Tuesdays and Thursdays and different donors give towards this. Play and educational centre: 77 children come in daily as part of this programme and 4 qualified teachers are responsible for this group. Funding is still needed for another Wendy house and more teachers. 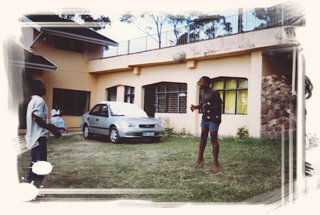 Youth Programme: Soccer and Netball teams made up of community children practice weekly. Holiday programs are also conducted for school going youth. The Child Care staff regularly go esout onto the streets to locate street children. They will visit the children on the streets building their trust, taking them food and clothing and attending to their basic health needs. As the relationship develops the workers will try and find out where the child is from and why they left home. The children are referred to the shelter where appropriate. If at all possible families are traced and work is done to reconcile the child with their family. This is the Outreach part of our work and the Team works directly on the streets - meeting the children as they arrive on the streets, find out why they are there and help them make informed decisions and choose alternative living - bacl home or if that is not directly possible - in the shelter. The basic factor of this work is relationship. The Team works on forming relationships of trust with the children which makes it possible for them to come forward with their problems, issues and whatever may be going on in. One of the boys said «life is not perfect at home, sometimes we don’t even know where the next meal will come from but I’m happy here and cannot think of anything that will take me back to the streets». Listening to their stories is what keeps this team going. It’s so easy to think that the work done is not enough (and may never be), to think that we are not making a difference but with these stories and support from each other and from friends and families we live to see another day and open our arms (and hearts) to one more child. Street-Wise Durban runs a shelter housing up to 40 children at any one time. This allows for longer term assessment of children who can not be returned home easily. Shelter placements are short-term (up to one year) whilst work is undertaken with the child and the family to find ways of reconciling them. In exceptional circumstances where there is a very difficult family relationship or no family then boys will be referred. At Street-Wise Durban the children are reintroduced to routine and stability. The children are expected to help with daily household tasks and are given support with school work and taken on trips and outings at the weekends. Programs of counseling the children and life skills are also run to help prepare the children for life back with their family. Every child placed at the centre is also placed into formal education as soon as possible, with the cost of fees, uniforms etc. being met by Street-Wise. After Care programs play an important role in stabilizing the reconciliation of children with their families. Follow-up visits to the family are conducted and further counseling is provided where necessary. Networking: Linking families with community based resources and educate them about Social Assistance Grants as to how to access them. Advocacy. 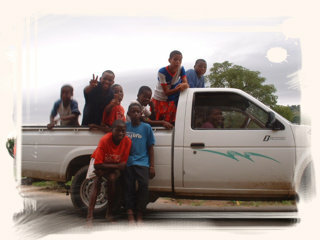 Currently there are 26 children in the Street Wise Durban Aftercare program. Starter fund is given to families who have shown strength in running income generating activities. A exploratory research was conducted between 2002-2003 which discovered that our clients are quiete happy with our aftercare programs, however it needs more material support & rewards for boys who remains at home for 3 years and more and more social meetings which requires more money. Street-Wise as an organization that seeks to care, protect, empower children/young persons on/of the street and their families, saw a need to incorporate the above mentioned project. This is an important component of Street-Wise continuum of care programme. This project enables young persons whose reconciliation process was unsuccessful due to various reasons (including death, illness of parents/caregivers and or can not be traced), to develop necessary skills towards independent living. 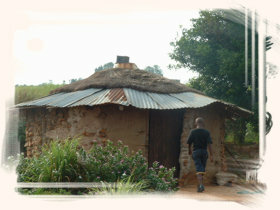 The above pictures show us the exterior of the Sibusisiwe Half-Way House. All the boys at the project are schooling at the local higher primaries. 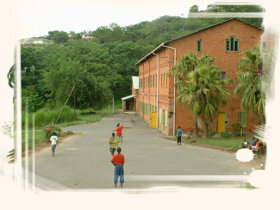 Sibusisiwe Half-Way house is situated in Botha's Hill which is in the West of Durban within the Valley of a Thousand Hills.